Since 1973, we have been shining a spotlight on exceptional women. They are leaders, mentors, visionaries, angels and heroes. 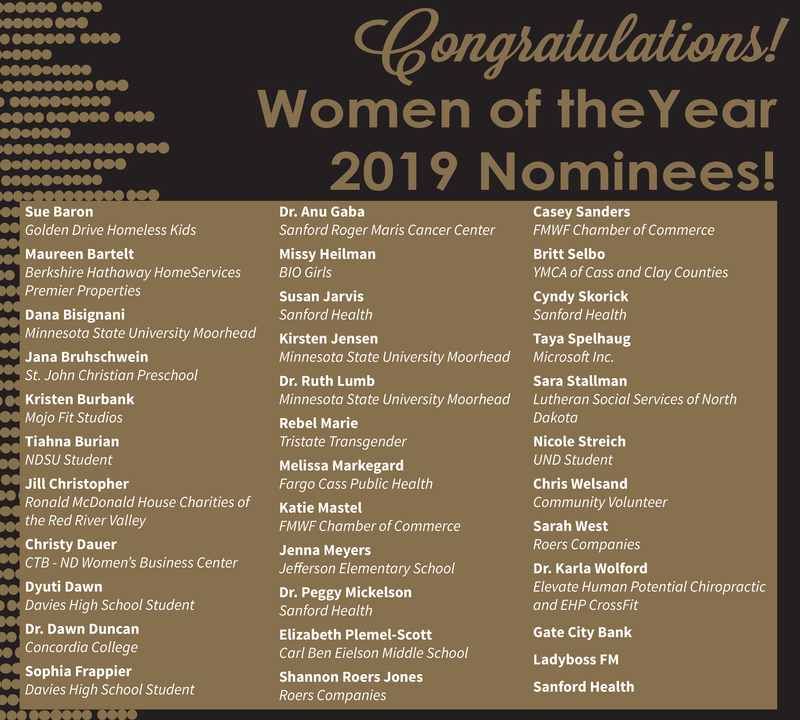 Help us highlight women who shape the Fargo-Moorhead community through their passion, service and significant achievements at this widely-celebrated event attended by 700+ people. YWCA Cass Clay is dedicated to eliminating racism, empowering women, and promoting peace, justice, freedom, and dignity for all. We strive to break the cycles of poverty and violence for women and their families. 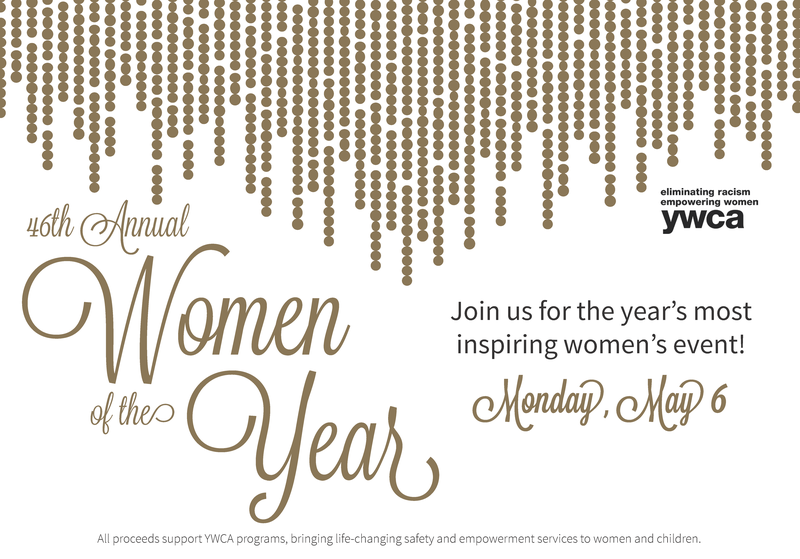 For questions regarding Women of the Year, Sponsorships, or Tickets please contact Morgan Svingen at msvingen@ywcacassclay.org or 701-232-2547. This fun and delicious event features chocolate desserts and delectable treats donated by area restaurants, bakeries, and individuals. Learn more about YWCA while you enjoy tasty treats, bid on unique silent auction items, listen to live music, and try your chance at winning raffle prizes. More information to come, soon! Mark your calendar to join us on September 5, 2019! This fun and delicious event features chocolate desserts and delectable treats donated by area restaurants, bakeries, and individuals. Learn more about YWCA while you enjoy tasty treats, bid on unique silent auction items, listen to live music, and try your chance at winning raffle prizes. More information to come, soon! Wednesday, November 27, 2019 With the Thanksgiving holiday just around the corner, YWCA Cass Clay is full of gratitude for the incredible donors, advocates, volunteers, and community partners that make our work possible. With your help, we can make a difference for the 1,400 women and children served at YWCA Emergency Shelter each year. YWCA Cass Clay is honored to have been selected by Thrivent Financial-Northland Region, in partnership with the InFaith Community Foundation, to receive a $10,000 match on #GivingTuesday. Give online or in-person on November 27th to have your gift make twice the impact! With the Thanksgiving holiday just around the corner, YWCA Cass Clay is full of gratitude for the incredible donors, advocates, volunteers, and community partners that make our work possible. With your help, we can make a difference for the 1,400 women and children served at YWCA Emergency Shelter each year. YWCA Cass Clay is honored to have been selected by Thrivent Financial-Northland Region, in partnership with the InFaith Community Foundation, to receive a $10,000 match on #GivingTuesday. Give online or in-person on November 27th to have your gift make twice the impact! Sunday, December 1, 2019 At this December event, women and children staying with us at the Shelter or in the Supportive Housing program are invited to attend a festive night of holiday fun. Women enjoyed a delicious meal while children engage in fun activities in the community. At this December event, women and children staying with us at the Shelter or in the Supportive Housing program are invited to attend a festive night of holiday fun. Women enjoyed a delicious meal while children engage in fun activities in the community. The final surprise of the evening includes a visit from very special guests, who arrive in a sleigh with personalized gifts for each child. To say the night is magical is an understatement – we are truly thankful for the generosity of our staff, volunteers, and all who make it possible!